At Adroitte, we offer complete end-to-end blogging solutions. Our SEO team members are experts at blog integration services, marketing blog writing and specialized SEO blogging for businesses, which works as surefire way to bring in more traffic to your website. Marketing blogs need to be both informative and interesting and most importantly, they need to be updated regularly. At Adroitte, our expert blog writers provide creative content designed to appeal to your target audience. Furthermore, we make sure that our marketing blogs are written with the purpose of creating leads and generating revenue. Our professional writers also ensure that your blogs are updated on a regular basis – daily, weekly or fortnightly. 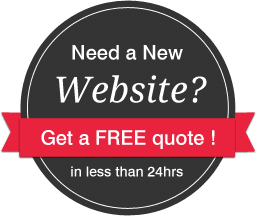 Adroitte’s expert SEO team specializes in integrating blogs with websites. By integrating your blog with your website, you gain multiple benefits like generation of fresh content, creation of a regular reader base and a marked improvement in your SEO rankings. Blogging also creates a provision for instant dialogue with your customers since all blogs have a section where readers can comment on what you have written. Blogs are a great way to add fresh content to your site. At Adroitte, we offer comprehensive SEO blogging services which make sure that search engines pick up and index your websites more often. We also create back links for each blog. This multiplies your chances of ranking higher on search engines. Our professional SEO team also optimizes your website for search engines by incorporating your main keywords into the blogs that are being posted.